How to create a rar file with any file matching a pattern (including subdirectories) on Windows. 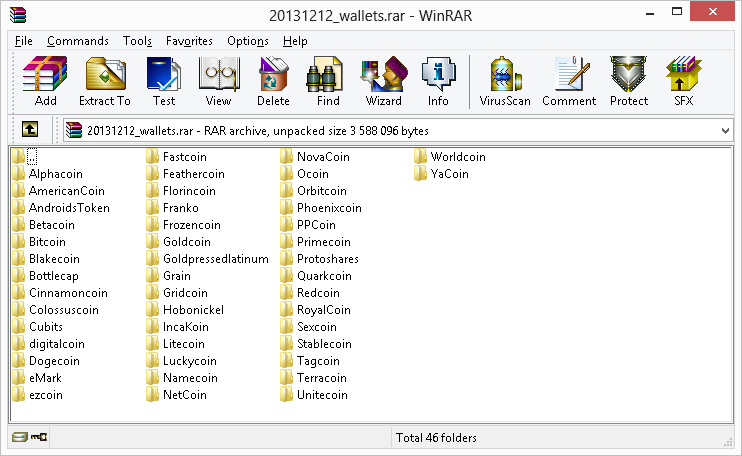 This example will find any file named wallet.dat and include it in the rar file. You can use wildchars in the pattern. This will preserve the directory structure. -dh allows you to add files that are in use by another process. -rr524288 adds a recovery record to the archive, with the maximum number of sectors (never too cautious).